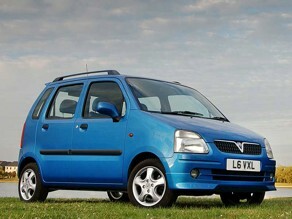 Vauxhall Agila (2000-2007) - Car Reliability Index | Reliability Index | How reliable is your car? The Agila may have appealed to few people of working age, but in many ways it's a car that makes a lot of sense - especially as a used buy. In reality this is little more than a rebadged Suzuki Wagon-R, with Vauxhall's own engines - but not necessarily any the worse for that. With a spacious cabin, strong reliability, easy entry and exit plus a Vauxhall dealer in every town, the Agila is an easy car to own. 6/00 Agila goes on sale with a choice of 1.0 or 1.2-litre petrol engines. 9/02 1.0 Expression joins range. 6/03 Model year changes for Expression mean reduced equipment levels. 10/03 Power boost for 1.2 Expression, to 59bhp. 1/04 ABS now standard on 1.2-litre Agilas. 10/04 1.2-litre engine now a Twinport unit with 80bhp. Make sure you can live with the lack of performance; this car is fine around town but poor on motorways. Make sure you can get comfortable; the driving position is awkward for many as adjustable seats and steering column weren't standard on all cars. These cars are often used as urban runabouts, so check for damaged wheels, scraped bodywork and tracking that's been knocked out by lots of kerbing. The Agila is also popular for carting kids around, so make sure the interior is intact; seats get damaged and carpets stained from spillages. Low engine idling speed can lead to squeaks from under the bonnet.